The New England Patriots are seeking a sixth Super Bowl title with Bill Belichick and Tom Brady, but they face the LA Rams, fresh off their controversial victory against the New Orleans Saints. The Rams are led by their wunderkind coach Sean McVay and former first-round draft pick Jared Goff at quarterback. The Rams are a 2.5-point underdog heading into Super Bowl LIII. 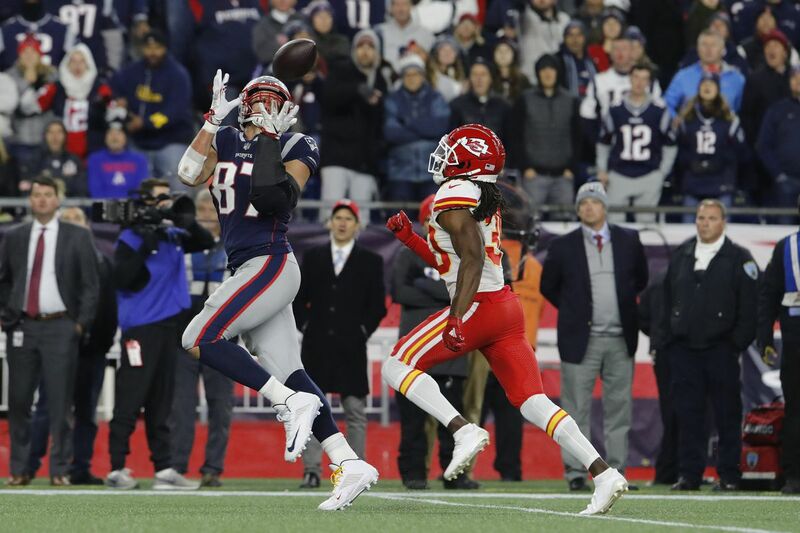 The Patriots are in the Super Bowl for the third straight year after beating Patrick Mahomes and the Kansas City Chiefs in the AFC Championship. Two years earlier, the Pats won Super Bowl LI by defeating the Atlanta Falcons in overtime. Last year, the Philadelphia Eagles defeated the Patriots to win Super Bowl LII. The last time the Rams appeared in the Super Bowl 17 years ago, the team known as “The Greatest Show on Turf” played in St. Louis. The upstart Pats upset the heavily-favorited Rams to win Super Bowl XXXVI. Belichick and Brady’s initial Super Bowl victory kicked off a dynasty. The Pats dominated the NFL for nearly two decades with five Super Bowl victories. Depending on who you talk to, Tom Brady and Bill Belichick are the greatest tandem of coach/quarterback in the history of the NFL. They are in their ninth Super Bowl together. Furthermore, if it were not for Eli Manning and a little lucky helmet-catch, they could have had seven Super Bowl titles by now. The Pittsburgh Steelers won six Super Bowls, which is the most in NFL history. Yet, the Patriots are one win away from tying the Steelers. The Patriots ran the ball effectively in both postseason games. The Pats racked up 176 yards and four touchdowns against the KC Chiefs in the AFC Championship. They rushed for 155 yards and 4 touchdowns against the LA Chargers in the Divisional round. The Rams have the worst run defense in the NFL allowing 5.1 yards per rush. The Rams will be tasked with stopping rookie Sony Michel (4.5 yards per rush) and James Burkead. Michel has five touchdowns and 242 rushing yards in two playoff games. The Rams must contain James White, who has become a valuable part of the passing game. White led the Pats with 12 touchdowns this season. In the postseason, he has 19 receptions for 146 yards and more catches than WR Julian Edelman (16 receptions). The key to beating the Patriots is to knock down Brady early and often. When teams apply pressure on Brady, it reduces his ineffectiveness. Aaron Donald has been a beast this season with 20.5 sacks and 41 QB hits. Over the last two seasons, the rams are 9-0 whenever Donald records two or more sacks. Wade Philips is going to unleash Donald and hope he can wreak havoc on the Pats O-line. In the postseason, the Pats did an excellent job protecting Brady by allowing zero sacks. Who Has a Better Defense? The Pats have a stronger overall defense. They allowed only 21.3 points per game. The Rams gave up 23.8 points per game. The Pats are scoring 39 points per game in the postseason, while the Rams are only scoring 29 points in the playoffs. The Rams averaged the second-most points in the NFL during the regular season at 32.9 points per game. During the regular season, the Patriots were the second-least penalized team in the league. The Pats are 4-5 on the road this season, while the Rams are 7-2 on the road. The Rams run D, which allowed 122 rushing yards per game this season, had two outstanding games in the playoffs. The Rams held Ezekiel Elliot, Alvin Kamara, and Mark Ingram to combined 93 yards. In the playoffs, the Pats are converting 60.6 percent of their third down attempts, while the Rams converted only 40.7 percent. During the regular season, the Rams converted 45 percent, while the Pats only converted 40.8 percent of their third down attempts. Jared Goff, in his third season out of Cal, became the youngest quarterback to win the NFC Championship at the age of 24. It seems obvious, but when Goff plays well, the Rams win. Whenever he has an off game, the rest of the team suffers. The Rams run play-action on 35 percent of their passing plays, which is the most in the NFL. A strong running game coupled with play-action puts Goff in a better situation to succeed as a passer. The loss of Goff’s favorite WR Cooper Kupp to an ACL injury was huge. Goff struggled in the first few games without Kupp. The Rams have a strong group of receivers including Brandin Cooks, Robert Woods, and Josh Reynolds. The trio combined for 18 touchdowns this season, with Cooks leading the way with seven. The Rams also have a pair of tight ends that are not as well-known as Gronk of the Patriots. Gerald Everett and Tyler Higbee caught 8 passes for 105 yards and a touchdown in two playoff games. During the regular season, they combined for five touchdowns. What’s wrong with Todd Gurley? Nothing physical apparently. He said his knee is fine and he’s ready to play in the Super Bowl. It seems like he simply got benched in the NFC Championship in favor of CJ Anderson. That will not happen in the Super Bowl. Sean McVay said Gurley will be a primary focus of the Rams offense. After all, everything basically runs through Gurley. When the Rams get their running game pumping, it allows Goff to take advantage of play-action fakes. Dallas boasted one of the top run defenses in the NFL, yet the Rams destroyed the Cowboys in the Divisional round. The Rams combined for 273 rushing yards. Anderson rushed for 123 yards and two touchdowns, while Gurley added 115 yards and one score. However, in the NFC Championship, the Saints shut down the Rams, holding Gurley/Anderson to 54 yards on 20 rushes. If the Pats effectively shut down Gurley and Anderson, it’s going to be a long day for Goff. Belichick would rather force Goff to beat them than Gurley. EA Sports popular video game Madden NFL 19 simulated the Super Bowl once again. Madden simulator accurately predicted 10 out of the last 14 Super Bowls, but inaccurately picked the Patriots to beat the Eagles last year. In this year’s simulation, Madden NFL 19 predicted the LA Rams would win the Super Bowl and edge out the Patriots by three points. With four teams remaining heading into the AFC and NFC Championship Games, the Patriots were +350 to win the Super Bowl and the long shot on the board. For Super Bowl LIII, the Patriots are favorited by almost a field goal over the Rams.